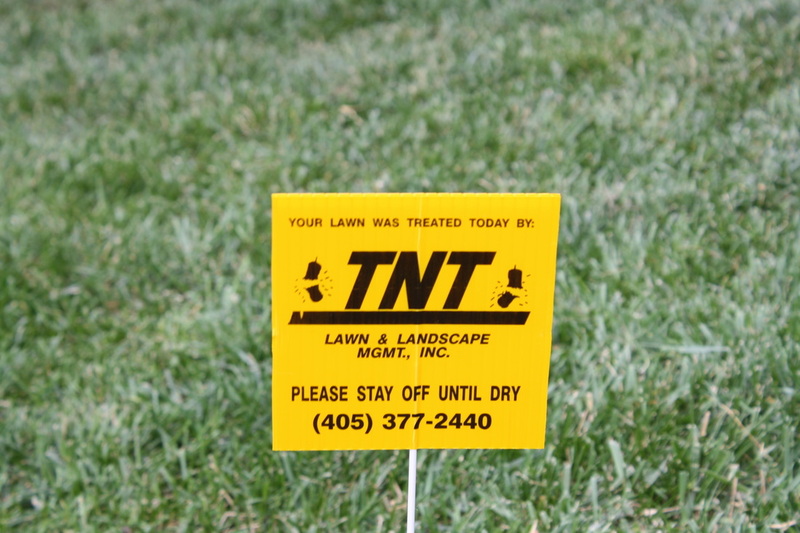 TNT is a lawn and landscape maintenance company serving Stillwater, Oklahoma and the surrounding area. We have over 30 years of experience maintaining landscapes both large and small, and for residential, commercial and industrial customers. We take pride in the quality of our work, and always strive for complete customer satisfaction. ​Please visit our Services Provided page to see how we can help you and your lawn. Please also visit our Request an Estimate page to, well, request an estimate. There, you'll find a form you can fill out requesting we contact you about your job. This will include us coming out and measuring your property. Once we've provided service, you'll find a sign like this on your lawn. Then you'll start to notice our signs all over town and see how many others have us caring for their lawns also.